Sen. Dianne Feinstein Is at the Top of D.C.'s Seniority Ladder. Does It Matter? California's senior senator, Dianne Feinstein, has been in Washington, D.C., for 26 years. A Democrat, Feinstein prides herself on her ability to reach across the aisle and work collaboratively with Republicans. She has respect for tradition and comity. And she's the second-most-senior Senate Democrat in the Capitol. To her supporters, Feinstein's longevity and experience is proof of her value to California. But backers of her Democratic challenger, state Sen. Kevin de León, say Feinstein is out of touch with California voters — and that she could be doing more to push back against President Trump and Republicans in Congress. Which got us to thinking: How much does seniority matter in the U.S. Senate? Plenty, according to several D.C. analysts KQED reached out to. "I mean, first of all, the U.S. Senate is a seniority-based organization," said Jennifer Duffy, senior editor at the nonpartisan Cook Political Report. "The longer you've been there, the more influence you have — the more likely you are to chair a major committee. ... It's a lot easier to affect policy for your states, or to get a federal agency to respond to you. You can work with your colleagues better, you've known them a lot longer. You're not the new kid in town." Some of those factors were on full display during the recent confirmation hearings of Brett Kavanaugh. Feinstein, as ranking member of the powerful Senate Judiciary Committee, literally had a seat at the center of the table, next to chairman Chuck Grassley, R-Iowa. She was the first Democrat to ask the nominee questions, and she was the Democrat most likely to have Grassley's ear when it came to procedural questions. But Feinstein was also in the hot seat as one after another, Republicans attacked her for waiting so long to make public the accusations of sexual assault against Kavanaugh by Dr. Christine Blasey Ford. By holding onto the letter she received from Ford for so long, Feinstein handed Trump and the Republicans an important talking point they used over and over — that the whole affair was politically motivated. And Feinstein's position as the ranking member didn’t change the hearing's outcome. Kavanaugh was confirmed, and she couldn’t do much about it as a member of the minority party. "Seniority isn't the end all and be all for developing power in the Senate," said UC San Diego political science professor Thad Kousser. "What seniority gets you is your rank on a committee ... but we saw the limits of that power in the Kavanaugh hearings. 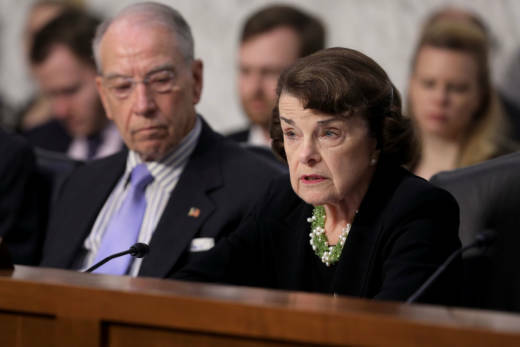 (Feinstein) was able to put things on the agenda in an important way, but really at the end of the day, she wasn't able to control how the hearing went." Of course, that calculation could change overnight if Democrats regain control of the Senate next month. Josh Huder, a senior fellow at the Government Affairs Institute at Georgetown University, said that the "biggest advantage that seniority gives a senator is their position on various committees." And, he said, if Democrats win and Feinstein is suddenly chair of the Judiciary Committee, she'd have an enormous amount of power — overseeing judicial appointments and the Justice Department, and by extension, the Mueller investigation. "It's a major, major position if she were to hold the chairmanship of that particular committee," Huder said. "All of a sudden she has enormous leverage to give or take away things that the (Trump) administration would want." Marc Sandalow — who covered Feinstein for three decades as a journalist and is now academic associate director of the University of California's Washington program — agreed, saying that if Democrats are back in the majority, Feinstein suddenly would be among the most powerful people in Washington. Huder and Duffy also noted that in another arena — legislation — Democrats hold power even as the minority party because Republicans have such a slim majority and in the Senate, you often need 60 votes to get legislation off the floor. "Republicans would argue they can't get much done either right now," said Duffy. "No party has a real working majority until they get to about 57 seats." Huder agreed, adding that "this is another spot where Dianne Feinstein has a ton of leverage." Much of the case de León has been making against Feinstein focuses on stylistic, not policy, differences. The irony, said Sandalow, is that many of the qualities that have made Feinstein successful in Washington — her collegiality and willingness to work across the aisle — are now giving her opponent fodder to attack her back home, where Democrats are fired up and want to see their representatives pushing back against the Trump administration. "She's more politically moderate than a lot of Democrats in California," Sandalow said. "She's not a bomb thrower." "Those qualities can frustrate people who want people to fight back against the president and fight back against conservatives," he said. "When you're in the minority, bomb-throwing — or at least being very dogged and outspoken — can be much more important because you're not going to get legislation passed anyways." Even though de León is more liberal than Feinstein on issues like health care and immigration, Kousser agreed that the differences between the two Democrats rest more in style than substance. 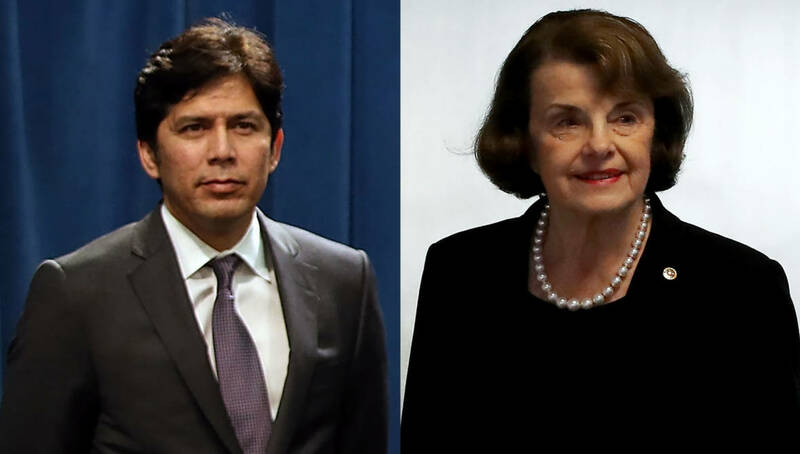 "The biggest difference between Kevin de León and Dianne Feinstein is that Dianne Feinstein is going to work collaboratively and often quietly, using the relationships that she has in Washington, to try to get things done," he said. 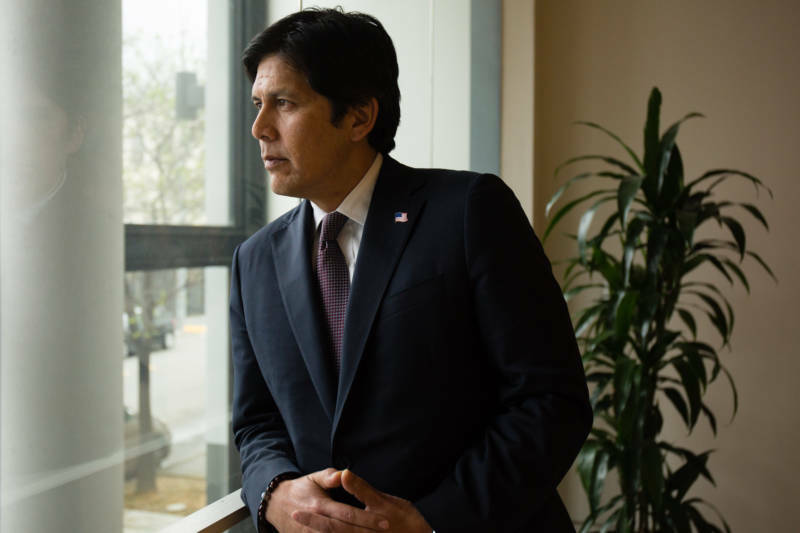 "Kevin de León, if he were elected, would come in and speak loudly and be an outside disruptive voice in the Senate. And that difference in style is probably more profound than any difference they have on policy issues." Ultimately, Kousser said, "If California replaces one of the longest-serving senators in Dianne Feinstein with a rookie — I don't think California loses much clout. The most important club to be in in the Senate is not the club of senior members; it’s the club of the majority party."